What if crude oil reaches $100/bbl? The sharp rally in crude began in the middle of 2017 around $44/bbl and has rallied all the way to above $72/bbl. It may be recollected that the sharp fall in crude oil price since mid-2014 was triggered by a major spurt in production of US Shale. Is it really likely that Brent crude could touch $100/bbl in the next 1 year? Most analysts who express surprise at the idea of Brent Crude getting back to $100/bbl seem to forget that crude was at $145/bbl in 2008 and at around $114/bbl in mid-2014 when the crash in oil prices first began. From the peak of $114/bbl in 2014, Brent crude fell all the way to $29/bbl in January 2016 before reversing (check chart). Effective January 2017, a consortium of OPEC, Russia and Mexico have agreed to cut crude oil output by 1.80 million/bpd. Interestingly, most of the major signatories to this agreement have adhered to these quotas, which explains the rise in crude prices. Political unrest in major oil producing OPEC members such as Libya and Venezuela has also contributed to the pressure on oil supply. With Venezuela elections coming up, the economic crisis could keep oil supply restrained. With the global growth revival in the US, EU and Japan, oil demand is expected to grow by 1.6 million bpd for the calendar year 2018. With US shale output likely to grow by just 1.1 million bpd, 2018 may again be a year of oil deficit to the tune of 750,000 bpd. It needs to be remembered that the US could consistently expand its shale production between 2012 and 2014 due to cheap funding options. With the Fed having hiked rates by 150bps since Jan 2016 and a hawkish outlook, cheap funding options are out! In a nutshell, with the above demand supply situation and oil inventories below the long term average, oil prices are vulnerable to move higher. The tensions in the Middle East and West Asia will only serve to escalate the situation. What does it mean for India? 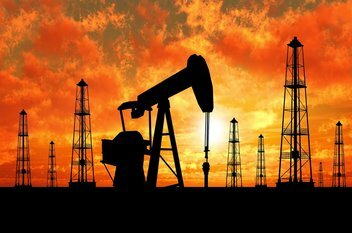 What could crude at $100/bbl mean for India? Obviously, it will be inflationary considering the downstream effects of crude oil. Broadly, there will be 4 implications for India. The big challenge for India will be on the policy front. How does it manage crude oil at $100/bbl. It can cut excise duties on petrol and diesel but with a spillage of 30 basis points on fiscal deficit already, that surely looks unlikely. Alternatively, the centre could ask states to reduce the cess. Since state finances are already grappling with problems, that is not workable. The third option will be to pass on the higher cost to consumers. That is going to be delicate considering its inflationary implications and also that 2019 is an election year. The most likely option could be asking OMCs to absorb the loss in the form of higher subsidies. That is not great news for these companies or for its shareholders. There are a couple of worries here. If oil touches $100/bbl, then the average monthly trade deficit could cross $16 billion. 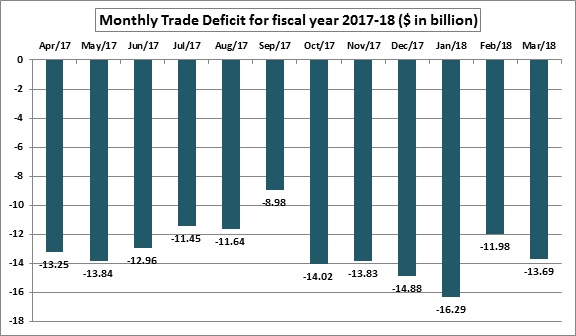 That means we may end fiscal 2018-19 with a total trade deficit in excess of $200 billion. India’s import bill for 2017-18 is already in excess of $500 billion with the forex chest covering just about 11-months of imports. If oil touches $100, this forex chest cover could reduce much lower. While merchandise trade just captures the merchandise deficit, the current account deficit (CAD) is more holistic as it captures invisibles and remittances too. For the quarter ended December 2017, the CAD had crossed 2% of GDP. That is normally the trigger point for the government. One can well imagine the impact on CAD if crude oil touches $100/bbl. It could make Indian economy vulnerable to a sharp fall in the value of the INR as well as force global rating agencies to take a re-look at the sovereign ratings. With CPI inflation in the range of 4-5%, the Monetary Policy Committee (MPC) has already acknowledged in its last monetary policy the risks of higher crude oil prices. A higher inflation could force the RBI to hike repo rates, an announcement that will not go down well with the financial markets. It could also have a negative impact on valuations as the cost of capital will increase proportionately. India has reaped the dividends of cheap oil for the past 4 years. A sharp spike in prices to $100/bbl could have long term implications for India.